My son is into gaming on his PS4,he would now like to get a PC for gaming,homework etc,i’m utterly clueless around this,so can anyone rec a cheap and cheerful solution? To approach PS4 quality gaming, cheap and cheerful really won’t figure ! Tell him to keep gaming on the PS4 and buy a cheap Dell or Lenovo for homework etc. You can probably get a cheap mini tower style thing and shove in a graphics card. I play games on my HP EliteOne that is lovely, 23" all in one unit that cost just over £200, but it won’t play recent games at full resolution with everything turned on without really slowing down. What does he actually want? If you want full detail on the latest games at 75+ FPS it’s going to cost money, but you can get a pretty good machine that works as a general purpose with a bit of casual gaming for £200. Was hoping to sell the ps4 and just a couple of hundred quid for his birthday in June. Not getting it,but this this be any good? One of my kids is massively into gaming and has recently moved onto PC. His gaming rig (new) cost £1600 and he still says that the PS4 edges it on performance. That looks quite good, for the money. You can upgrade the graphics card in the future, if necessary. What is the reason for moving to PC? If he wants to play the more strategic games that are on PC, they will usually work ok on a lower end machine (like mine). I imagine that selling the PS4 and all the games and getting a mediocre gaming PC would be a mistake. The top Youtubers will be making decent money, so will have bought top rigs. You can spend two grand on a graphics card. A decent one for games is £400+. A GTX1050ti would be on par if not a bit better than a ps4, maybe a £400-500 build without monitor. PS4 pro would take a bit more. Half the fun with a pc is building it. Lots of build guides around. Not with a decent power supply it won’t be. One of those is £130 alone. My youngest son’s gaming PC blew up when he put a new bigger graphics card in it. Took out the power supply, main board and graphics card. Not cheap. Looks like a very deep rabbit hole to me, but this might help? As a family we have, 3 xbox ones, a ps4 and 3 gaming pcs of various levels. The recent hardware is much less power hungry. I use good power supplies, from companies like corsair, you do not need a £130 one, maybe £60-70. My youngest’s pc has a 1050ti, and for 99% of what we play together its pretty good, easily as good as a ps4. The ps4 is 5-6 years old now, its not exactly state of the art. The kids love access to steam and its sales, lots of great indie games for not much money. Half they time they don’t really need a powerful pc. Looking to make your own PC, but tight on money? 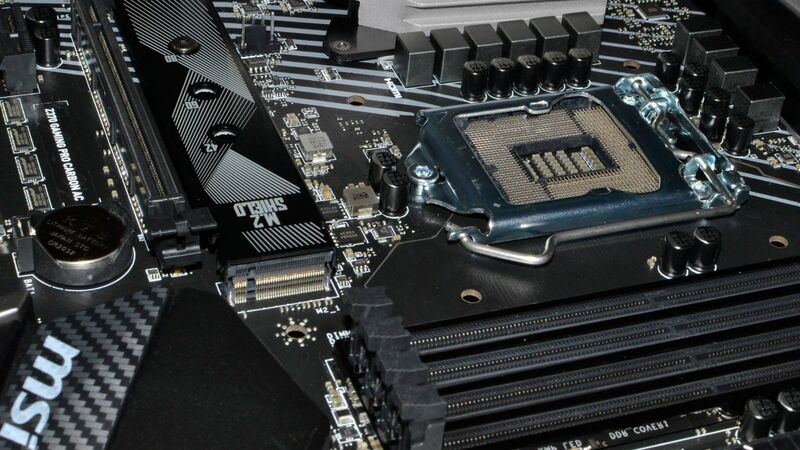 Here's our best budget gaming PC build, including the best prices on all components.